The structure of the Object Type object is defined as follows. 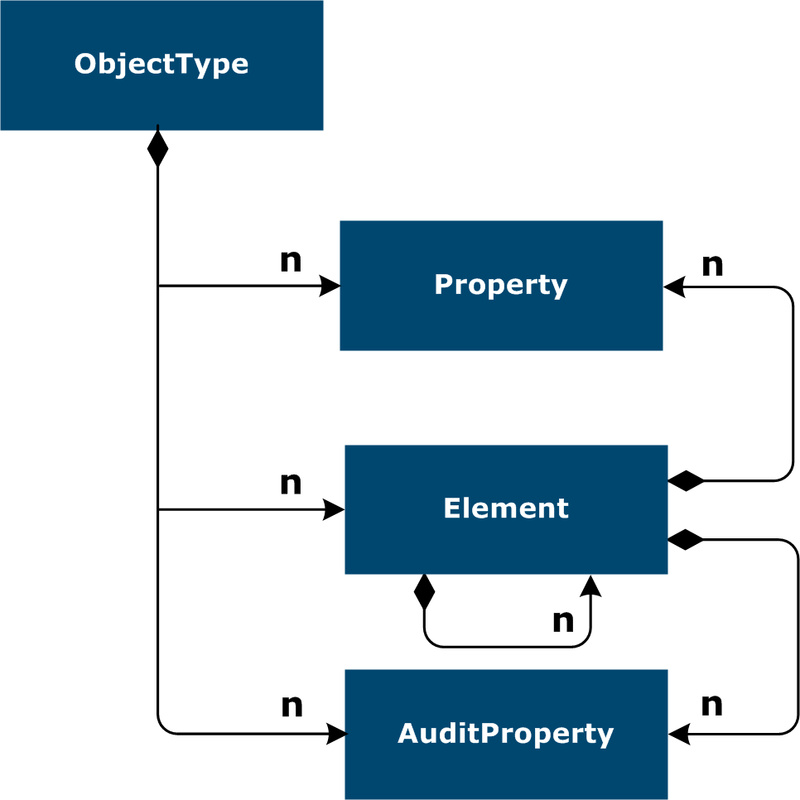 The Designer uses the Object Type to define the data structure of parts of the Collections. On the Details tab, enter the Object Type general information. See Specify Object Type details. On the Audit Properties tab, add the properties that you are going to use for the Audit. These properties are set automatically when you import the Rule Engine configuration from the Composer. A list of the available Audit properties is displayed in Table format (Name, Rank). In the table on the Element Type tab, add the Element Types that make up the Object Type. See Specify Element Type details.